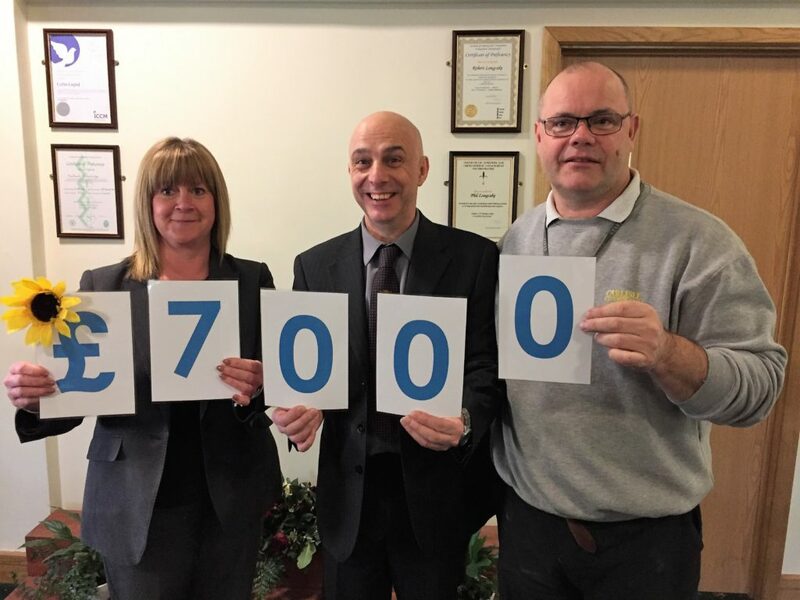 Hospice at Home Carlisle and North Lakeland have received a record donation of £7,000, raised from Carlisle City Council’s Bereavement Services Team’s involvement in the Institute of Cemeteries and Crematorium Management’s (ICCM) charitable Metal Recycling Scheme. The innovative Metal Recycling Scheme run by the ICCM, involves recovering and smelting down metals left after the cremation process, which are later up-cycled and used in the medical industry as new surgical instruments. Families give their permission for the residual metals to be recycled via the nationally recognised scheme with the proceeds going to charity. Carlisle Crematorium has been actively involved in the scheme for over ten years, supporting local nominated bereavement charities, Hospice at Home Carlisle and North Lakeland, Macmillan Nurses Carlisle, SANDS Cumbria, CRUSE Bereavement Care in Cockermouth and The Eden Valley Hospice on a rota basis every two and a half years. Barry Maxey, Corporate Fundraiser at Hospice at Home, received the cheque on behalf of the charity explaining the difference it would make, “We are extremely grateful to Carlisle City Council for one again choosing to support us through this innovative recycling scheme at Carlisle Crematorium. This amount of money makes a big difference to Hospice at Home, allowing us to continue delivering vital care and support free of charge to adults, their families and carers coping with life-limiting illnesses and following bereavement. The Hospice at Home service covers 1500 square miles from the Scottish Border to Stainmore and Allonby to Alston. The charity is vital and needs to raise £18,000 each week to continue to provide this service. Anyone interested in raising funds or volunteering please contact the Hospice at Home Fundraising Office 01768 210719 or visit www.hospiceathome.co.uk.